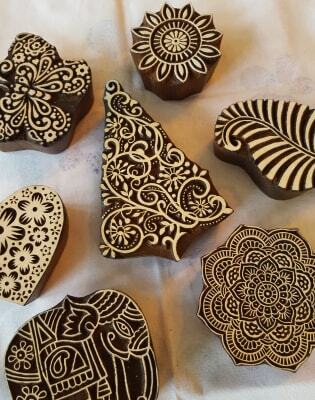 Use beautiful hand carved wooden blocks to print on fabric and create your own tea towel designs. Great for personalised Christmas gifts! 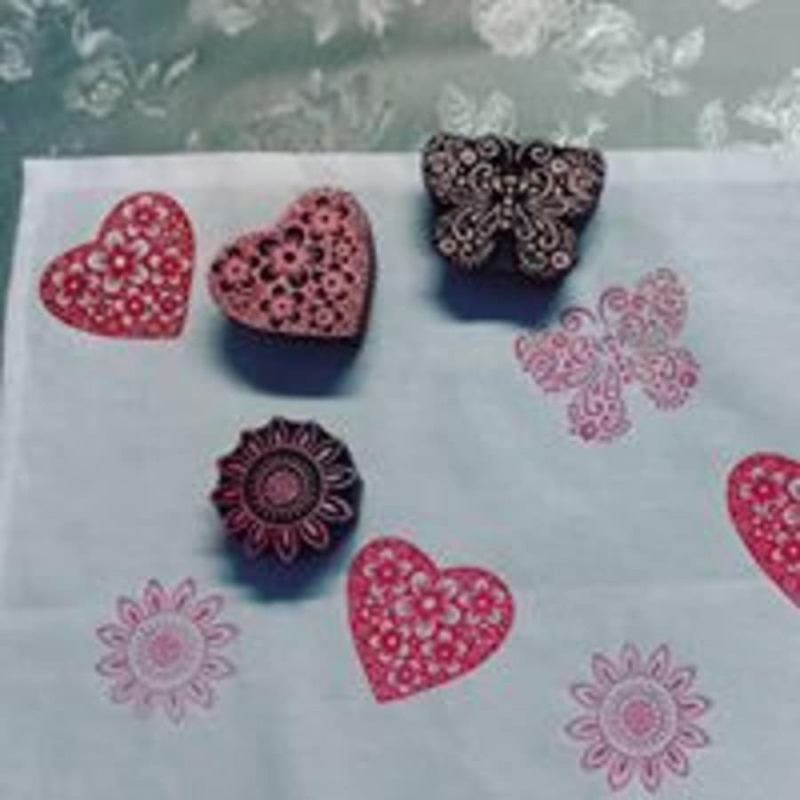 Come along to our ever popular workshop and try this simple technique using stunning hand carved blocks to create your own fabric designs. This is a hands on workshop with demonstrations and tuition in small groups. You will have time to play and test out the techniques and colours. Fabric paints are permanent and washable at up to 40 Degrees. 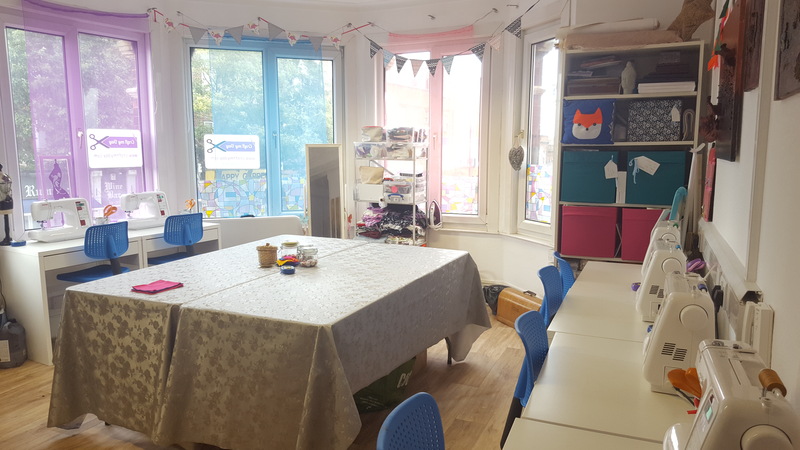 Workshop includes a Tea towel for your final design, perfect for a gift or to brighten up your own kitchen. Protective apron and refreshments included. Tea and coffee provided or a glass of wine for evening groups. 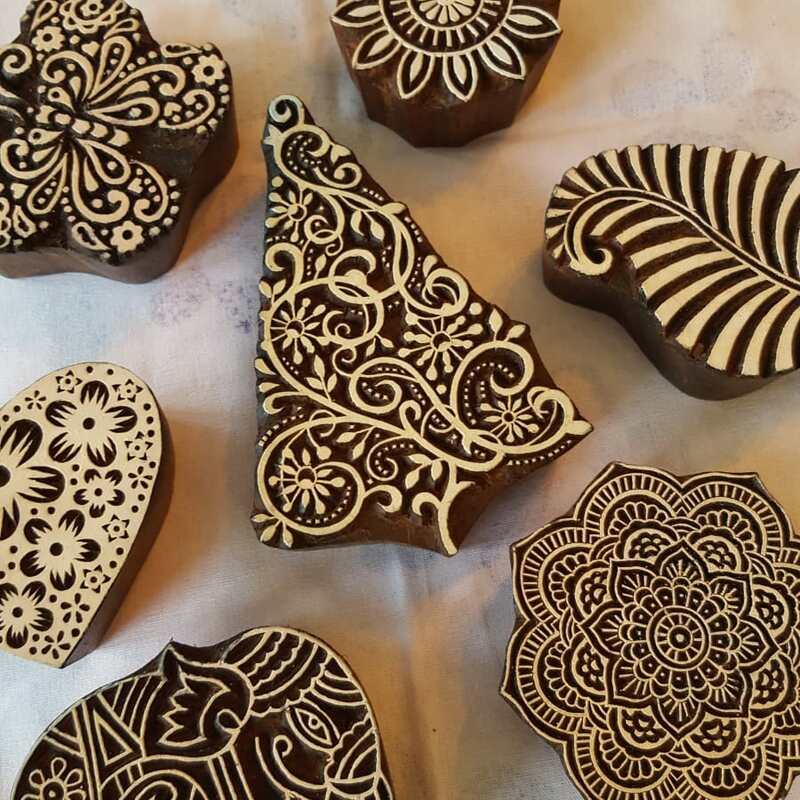 Woodblock printing is a technique for printing text, images or patterns used widely throughout East Asia and originating in China in antiquity as a method of printing on textiles and later paper. As a method of printing on cloth, the earliest surviving examples from China date to before 220 AD. Great class, Rach is a fantastic teacher and there is a lovely relaxed atmosphere. Lots of lovely refreshments too! Such a fun thing to do with friends! We were explained how to use the block prints and given ideas on various designs and colour combinations. Then it was up to us to design out own Tea Towel! Loved it! Our teacher was great, very friendly and relaxed and very informative. I had a great afternoon. Two other ladies had cancelled, so it was just me with Rachel - I had her full attention!! The two of us just sat there playing :-) Rachel seems to know a lot about many many crafts, so we sat there chatting and I was able to pick her brains about other projects as well. I was pleased that I was able to come away with a fully finished (bar drying completely, that is) project. I have been on other courses where it is almost impossible to finish what you are doing - as a result it sits in your cupboard waiting for you to finish it!! Definitely recommend - Rachel is great and very knowledgeable. Thoroughly enjoyed my class. Would love to do some more. Has really inspired me. Thank you!